Over the past week, we have been getting slammed hard by Sally’s orders for Fall. Big huge boxes were delivered by the UPS guy and next thing we know, we were busy unpacking, pricing, back pricing, putting new stuff on the shelves and all the while just ooh-ing and aah-ing and dreaming about our fall projects. It all started with our huge order of Misti Alpaca Chunky and Manos del Uruguay and then a few days ago our Rowan order came in. Oh my word. 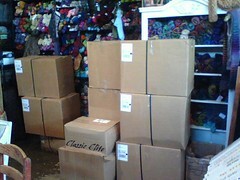 Sally ordered all of their newest yarns! 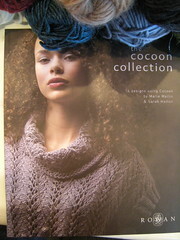 And the pattern books that goes with them! 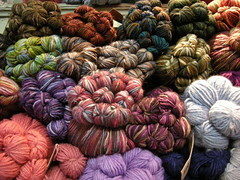 Great colours and so nice and chunky which will make quick projects!!! 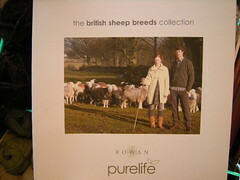 Also, Sally has ordered the whole Rowan’s Pure Life Collection. 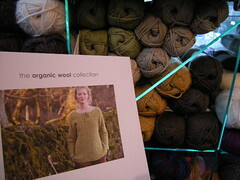 It started with the Organic Cotton this Summer and now we also have Pure Life Organic Wool (naturally dyed) and British Sheep Collection in natural colours. Very very pretty! 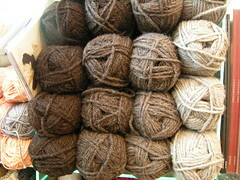 I am itching to make a coat or something like that with this beautiful sturdy yarn! I took home some red Cocoon and am now going to play with it! I haven’t talked about yarn and knitting for the past several entries so I suggest we jump right in, yes? 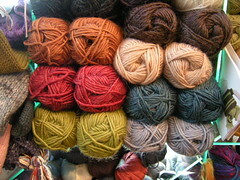 Last week, we got slammed by some yarn that Sally had ordered for Fall. 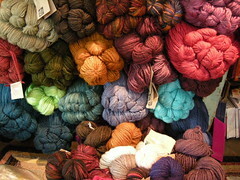 Sally ordered so much colors of Manos that my head was about to explode! I could feel the creative juices flowin’. 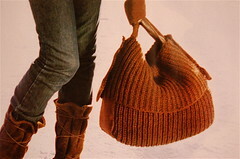 I am so going to get me several skeins and knit me a bag. 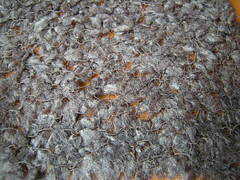 I am thinking felted bag! Also, a lot of Misti Alpaca Chunky came in and I snatched a beautiful red heathery color and am knitting up the same scarf I made for my brother last winter. 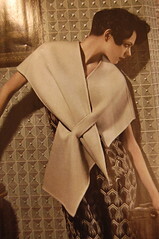 It is going to be a store sample and I am going to be teaching a class with this scarf. I am excited! 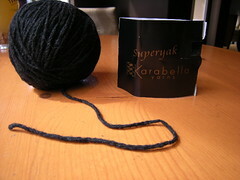 Next up is Karabella’s SuperYak yarn. It is so yummy and fluffy and soft! I am knitting up a little swatch and am now ready to wash it and see how it gets even more fluffly. Delicioso. Interesting, eh? I am intrigued. 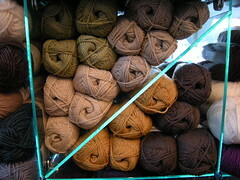 Oh it is vegetable dyed, with logwood, by Catherine van Laake who used to live in Portland. It is kind of weird, but I kind of like it! 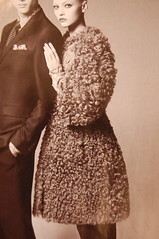 The Vogue September (mind you, I am not talking about Vogue Knitting here) is out. I got a copy, browsed and tore out the pages I liked best. I cannot show you all the pages that I liked so I took pictures of the ones I really really liked. Allright, that is it for now. 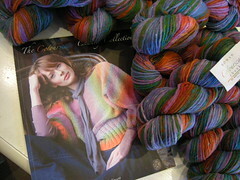 I am going to be mad busy knitting these coming weeks. 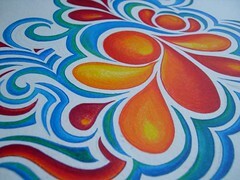 My head is bursting with ideas and I just cannot wait to start the projects that I am pondering about. 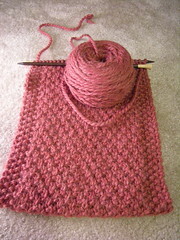 Ah, feels so good to be back into my knitting groove! Thanks for reading and untill the next entry! Our artist friend Mehdi aka Action Figure James Nice, has visited us in the Pacific NorthWest. His arrival brought back many memories from the magical time we all had back in Manhattan. It was a time where I fell in love with my husband and a time where I was welcomed by an international group of talented young artistic people. We celebrated our lives with inspirational and spiritual conversations. We shared open hearted friendship. We admired eachother’s art. But most importantly we danced. We danced all together to the rythm of our beautiful lives and times in the most vibrant city I have ever visited. How impressed I was by New York City when I first visited it in December 2001. There I was hand in hand with a guy I had met on the Island of Bali in Indonesia just a few months earlier. This guy, who is now my husband, opened up a whole new world to me. It was not a world of glamour, glitter and riches which New York City seems to exude in songs, TV series and movies. 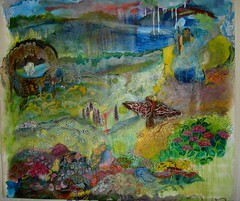 It was a world only to be found if you were willing to go off the beaten path, hidden from the mainstream masses. While holding me tightly by the hand, my new love lead me into the underground house scene of New York City and introduced me to his friends at a party called Body and Soul. It was at this party where I got showered by positive energy, non-judgemental vibes, accepting and openhearted people. 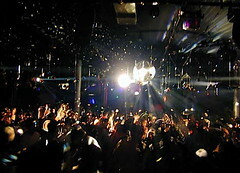 As soon as I set foot on the dancefloor, I felt free. It wasn’t important where I was from, what the color of my skin was, what sexual preference I had, or what religion I belonged to. It was not important how I looked or what clothes I was wearing. It was not important what degree or what job I had, where I was on the career ladder and how much money I earned. How I danced my little booty off! 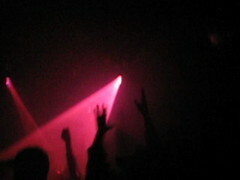 How I danced and screamed and lifted my hands way up in the air. Weeee! It was an interesting group of people who all loved to travel: Latino was from Italy, Linda from Iceland, Ouizee and Grady from Paris, Mehdi from Persia and so many more. Untill this day I think of them with lots of love in my heart and it is because of them I have decided to turn away from working in corporate business and walk a different path in life. Their adventurous spirits have inspired me to pack my bags and follow my heart. Show me who your friends are and I will tell you who you are. All of these people were and are close friends of the man I fell in love with and got married to. And my life has been adventurous, colorful and so creative ever since then. Today I will leave you with a song that brings me right back to our underground NYC house scene days. Thank you for reading and untill the next entry! For the past year and a half I have been extremely intimidated by a 25 ft by 35 ft blank canvas that is my backyard. You see, I am a totall inner city girl, have always lived in appartments and have absolutely no experience with gardening. Will you believe me that I rarely have set foot in my backyard? I simply did not want to acknowledge it was there. It intimidated me… beyond belief. And why? Here I am, with a pretty decent sized backyard, and all I can do is be scared of it. How silly. 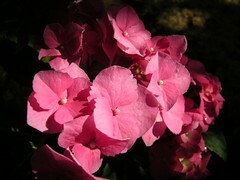 When Jenni suprised me with a beautiful pink Hydrangea and two sweet little Lavender plants, my urge to dig in the soil had been awakened. 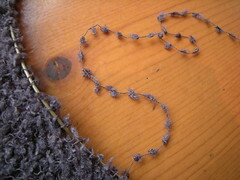 So, my dear reader, that is what this knitter has been doing for the past few weeks. Dreaming about a beautiful garden, learning about soil, buying garden tools, and finally, digging untill my whole body was sore. Also these past couple of weeks, we had a visitor over from New York City. Our free spirited and artist friend Mehdi aka Action Figure James Nice, kept us occupied. Mehdi’s visit brought back memories of our time in New York City and the adventures we encountered back then. It was one of the most magical and most cherished time of my life. More about this episode in my life in the next entry..! Needless to say I have been so busy, I barely had time to knit! 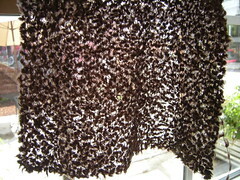 However, I did manage to get a cashmere project going which I will finish in the next few days. 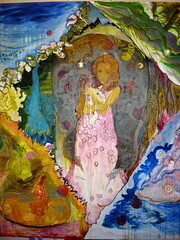 You are currently browsing the Getting Purly With It blog archives for August, 2008.